Drayton Two channel thermostat pack ideal for conventional systems. Enables you to control heating and hot water via the Wiser Heat app. Wire in existing cylinder thermostat for hot water control. 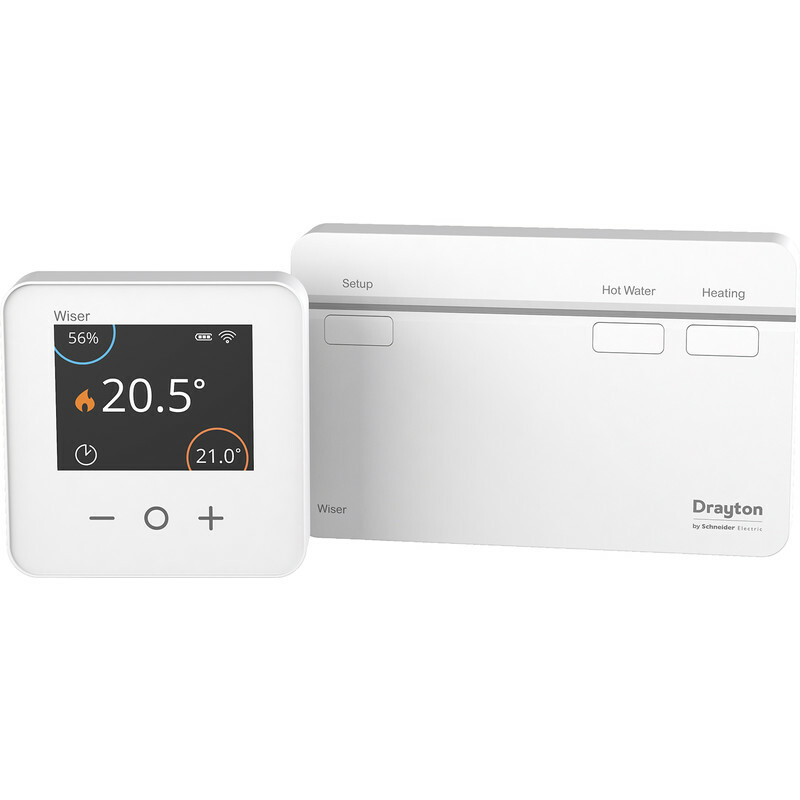 Drayton Wiser Smart Thermostat WT724R9K0902 Kit 2 is rated 4.3 out of 5 by 3. Rated 4 out of 5 by Sorted from Great so far Replaced my old Drayton controller as it didn't have enough programming flexibility, and I'm working away. A little bit of digging to determine my existing wiring, and how this needed to be wired, before fitting. Setup instructions a bit flakey, had to variously turn on/off phone WiFi to get the app working/account setup (trial and error, but sorted in 20mins or so). App instructions could be better but worked out how what does what, after a little more faffing about. 5 stars if they sort the setup and operation guide. Rated 5 out of 5 by Raoul I from Pleased with this Works fine, but took me over an hour to connect up. It may just have been me; it eventually connected up wifi/phone/tablet etc okay. I'd recommend patience if you have the same issue. Controller does what it promises.